Boveda packs provide hassle-free maintenance of Ammodor® humidors. Available in six different RH levels: 62, 65, 69, 72, 75 and 84 percent – so you can use the RH that achieves the humidity you and your cigars prefer. Distilled water and PG solutions with sponges/gel/crystals/beads that will impart unwanted flavors on your cigars, Boveda’s reverse-osmosis membrane only releases pure water vapor and Boveda will never damage anything through direct contact. Once you smoke a cigar stored with Boveda, you’ll finally enjoy it exactly as the master blender intended. Dimensions are 5.2″ x 3.5″. Shelf Life unopened is 2 years and will lasts 2-6 months (or longer) in an air tight Ammodor humidor. Replace when pack begins to get rigid. 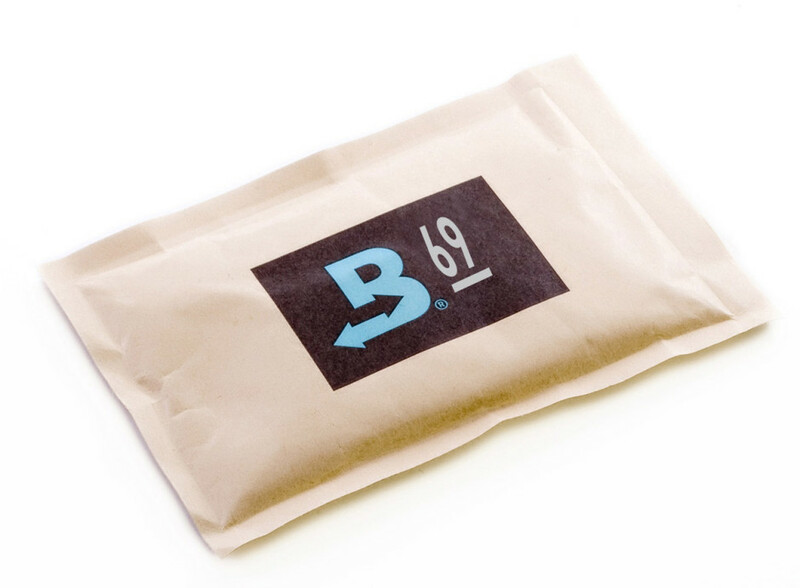 We recommend 1 Boveda pack in our The 30 models, 1-2 packs in our The 50 model and WWII 50 and 2 packs in our The Fat 50 models. Our large custom Ammodors generally require 2-4 packs. Do not mix Boveda RH levels within the same humidor, and do not use Boveda in the same humidor with other humidification products. They will fight against each other and reduce the efficiency of the Boveda. Regardless of what you’re used to using in traditional humidors, ALL Ammodors should use no more then 69% RH packs to avoid over humidifying in their air-tight environment. Contact us for larger orders of cubes (12 packs) or bricks (20 or more)!